Pacific Gas and Electric 63 is a double-truck, double-end, light weight, all steel, Birney car that ran in Sacramento, California. It had a deluxe interior including leather seat cushions. It was equipped as a Safety Car and had treadle steps for the single right side rear door. PG&E 63 was built by the American Car Company of St Louis, Mo. 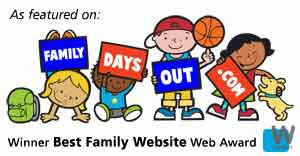 on their order 1455. The cars were delivered in December 1929 and became known as the Christmas Present cars. 63 is part of a 12 car series, numbered 56 to 67. American Car Company was a subsidiary of J G Brill. By this time Brill had been acquired by American Car and Foundry. When 63 was built the American Car Company was to last only 18 more months before it was shut down on July 1, 1931. These were the last cars to be acquired for Sacramento. Sacramento City Lines took over of the system from PG&E in 1943. 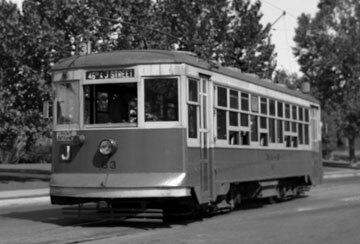 Car 63 operated until the end of streetcar operation in Sacramento on January 5, 1947. This car, like so many Sacramento cars, was underpowered with only two 40-horse power motors. 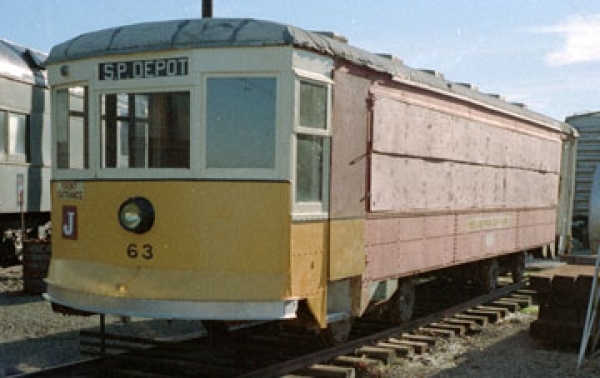 After being the retired the carbody was used as a shed in the Rocklin area. The car was acquired by the Museum in July 1987. Owners: Pacific Gas and Electric 63. Sacramento City Lines. Technical Data: Lightweight double truck Birney car. Built by the American Car Company of St Louis, Mo. in December, 1929, their order number 1455. Seats 44 passengers, one operator. Total car weight 15,000 pounds. Trucks: Brill (177E1X). Wheels. Axle, 4”. Journals, 3 3/4 X 7 plain bearing. Traction motors, 2-40 horsepower @ 600 VDC, inside hung. Air Brake Equipment: Westinghouse Traction Brake, SME. Motorman’s valve, (M-28). Emergency valve, K-1. Double check valve, #15. Brake cylinder. Main reservoir protection valve. Dead man on controller and foot valve. Air compressor. Dimensions: Width. Length over buffers. Height. Truck centers. Truck wheelbase, 64”. Propulsion Equipment: General Electric type K. Controller, K-63. Traction motors, GE 247. Canopy switch. Power resistors. Misc Data: Heaters. Trolley wheel, 6”. Trolley base, US 6. Current Condition: This car is a body only. It is in good condition. Most parts to restore to operational car are on hand. Proposed Future Treatment: Restore to operation car when resources are available. Restore as Sacramento City Lines.